Regardless of how well we take care of our skin, foundation is the makeup product many of us consistently feel shackled to—as if without it we'll cease to exist. Given the society-induced stress related to a woman's appearance, those feelings make sense. Painting on foundation each morning saves us from "looking tired" or "unprofessional," or at least that's what we've been led to believe. After a while, I sort of had enough. I liked my skin. I wanted it to show through my makeup. I wanted my face to look like me, not the buffed, blended, or contoured version of myself. 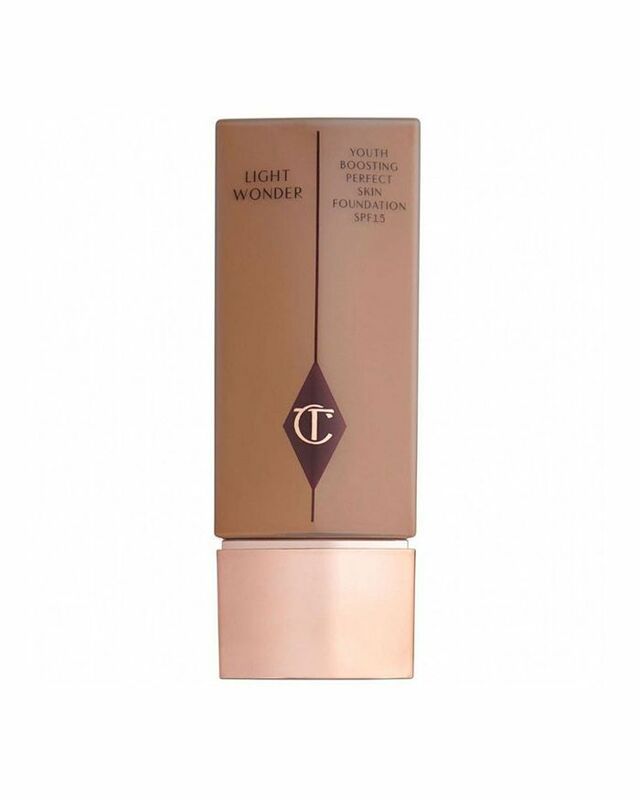 Naturally, it goes without saying that you should feel empowered to look however you'd like, whether that's a full-coverage foundation, none at all, or somewhere in-between. For me, I found my groove in that gray area—with a sheer, whipped, gel-like confection that offers up dewiness and coverage, but in a more natural way. 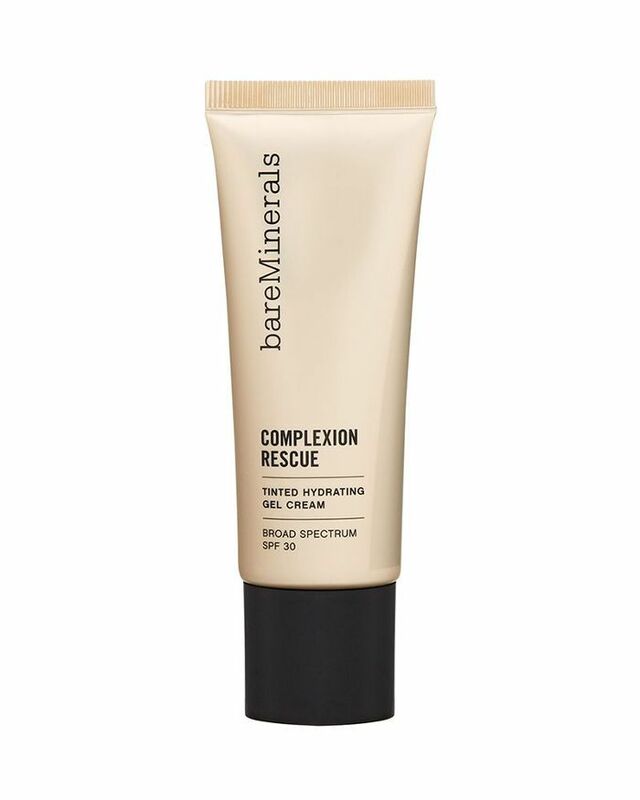 Enter BareMinerals Complexion Rescue Tinted Hydrating Gel Cream ($30). Now, this isn't a new product. In fact, I used it for a few months years ago when I was first finding my footing as a beauty editor (and Faith reviewed it here). But, as with many products, I gave it up to try and review other offerings. Cut to September, when I was annoyed with face makeup altogether and endlessly searched for something new and refreshing to put on my face. Everything felt old and cakey and covered my skin where I wanted it to shine through. It wasn't until my recent interview with Hailey Baldwin when my makeup bag finally got the update I was so desperately needing. Baldwin partnered with BareMinerals and we sat in a room discussing all the new launches as well as a few older favorites. She picked up the Tinted Hydrating Gel Cream and my mind glimmered. "I used to use that all the time, I love that stuff," I told her, excitedly. "Girl," she said zeroing in on my eyes with hers, "get back into it." The rest, as they say, was history. First of all, I trust whatever makeup she puts in front of me. Her skin is like freshly cleaned glass on a summer day—light-reflective and shiny. So I took the suggestion to heart and started using the product again. The result, my dear readers, left me breathless. In terms of texture, this product has everything else beat. It's whipped (read: feels pillowy) but also cooling and gel-like at the same time. 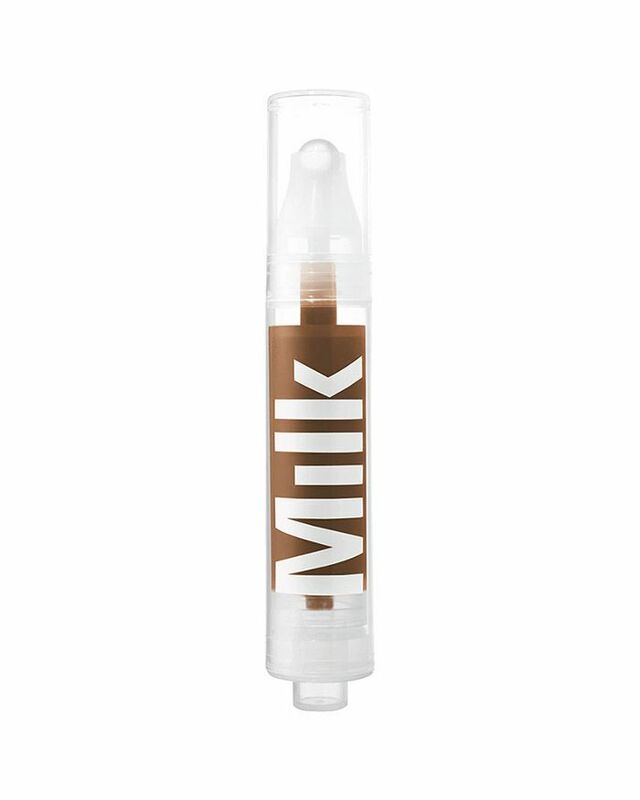 It's a hybrid, really, a mix of all the best parts of liquid, cream, and serum foundation. Plus, it's multitasking too. Complexion Rescue combines all those hydrating skincare benefits with the sheer (but buildable, if you so choose) coverage I'd been dreaming of. 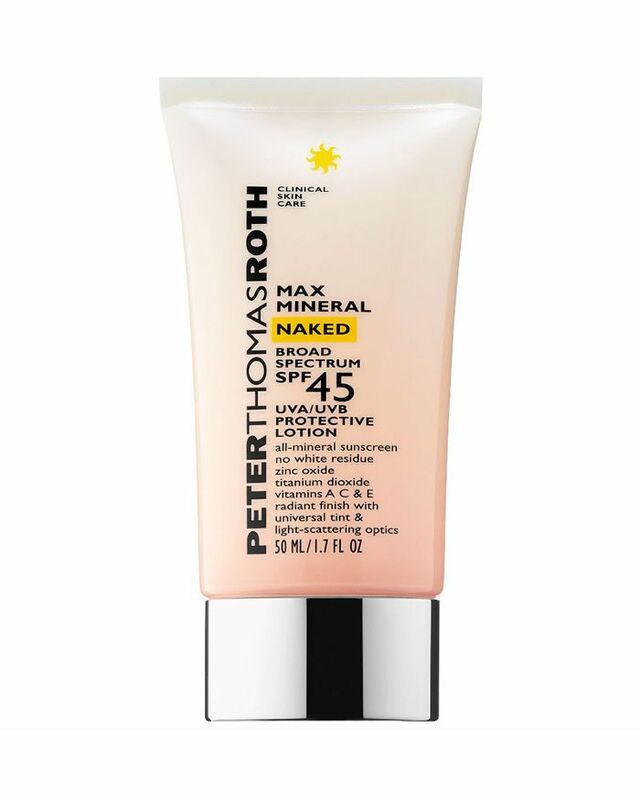 And it incorporates a mineral-based sunscreen for safe and effective, non-chemical sun protection. Want proof? The brand's clinical trials found it boosts hydration by 215% after one week of use, and 100% of women (there were 63 participants) experienced improvement in their skin texture after in the same amount of time. 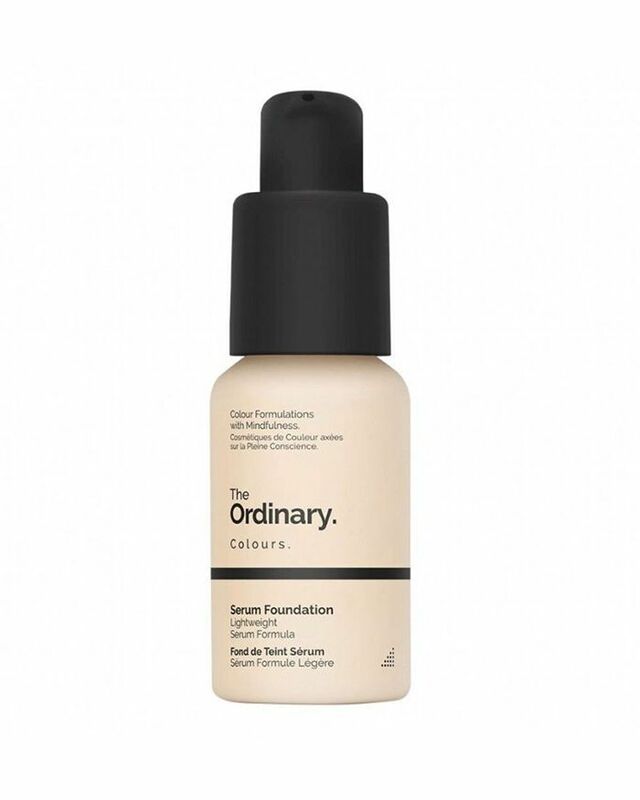 See, the formula is a blend of plant-derived squalane and energizing mineral electrolytes to give a really radiant finish but also continually hydrate your skin throughout the day. It feels so light, refreshing, and looks just like your skin would on its best day (only you can replicate that every single day). 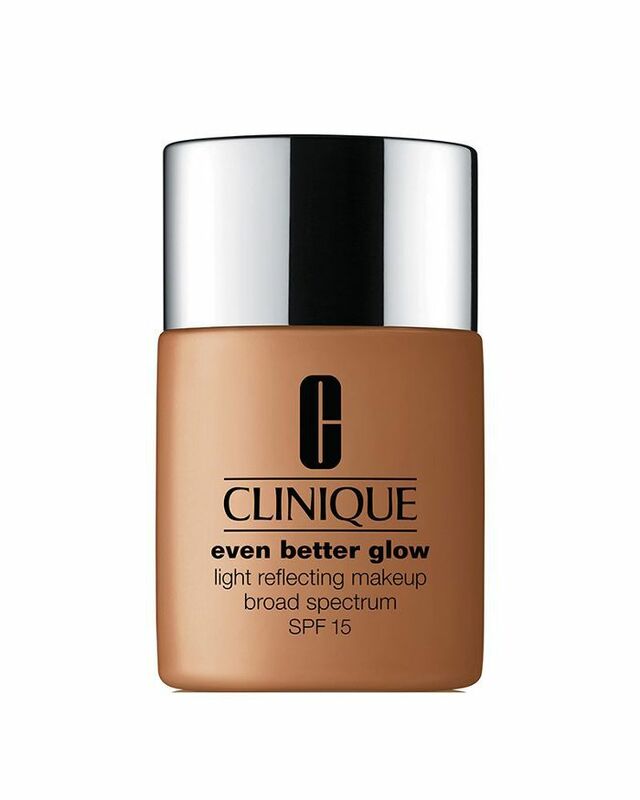 I like to warm it between my fingers and pat it on (another suggestion from Baldwin), melting it in my skin so it looks especially natural and glowy. Then, I'll go in and blend on a bit more coverage just in the spots I need it. When you think about it, it allows for bespoke coverage, ranging from sheer and natural to medium and a bit more air-brushed. 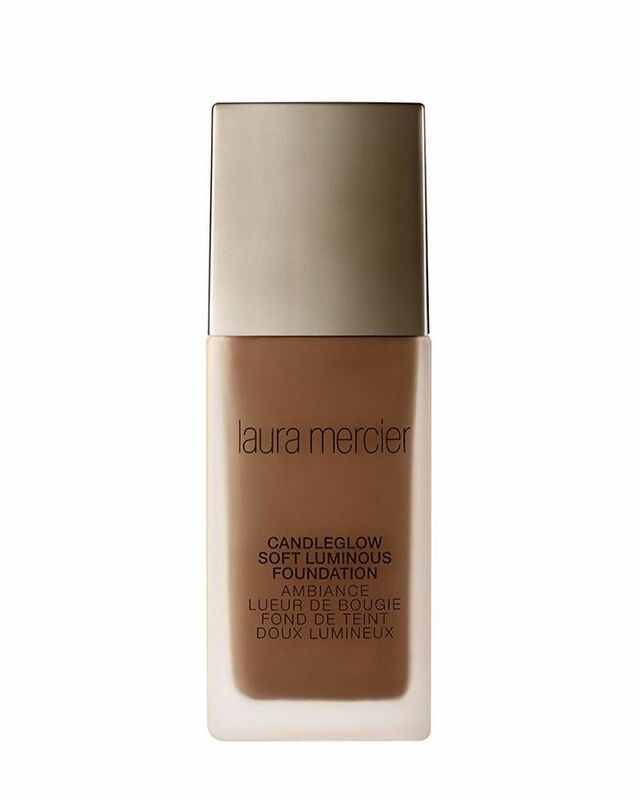 It's everything good about foundation and none of the less-than-thrilling aspects. 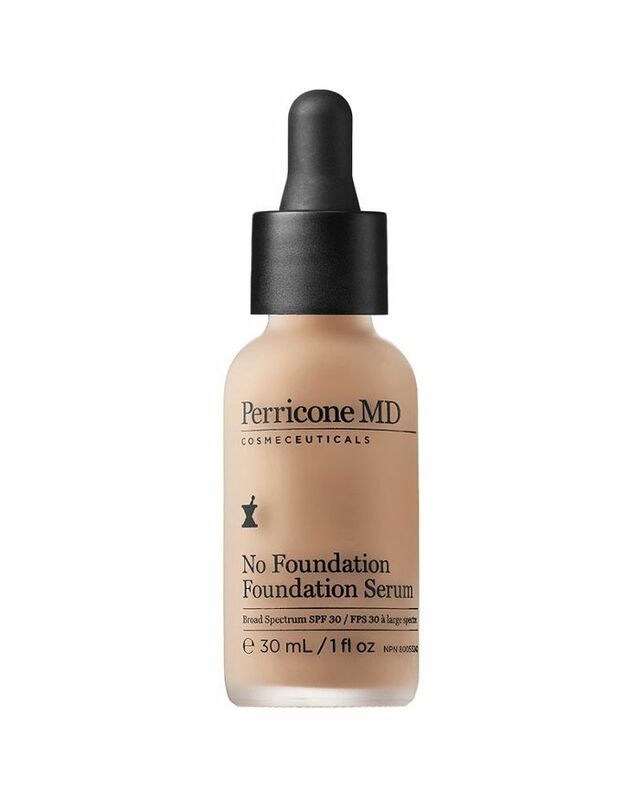 Here's the thing: I realize foundation is a really personal choice—everyone wants something different from a formula. I anticipated that fact and researched a few more offerings that yield similar results (BB Creams, serum foundations, and the like) and collected recommendations from other editors here at Byrdie. 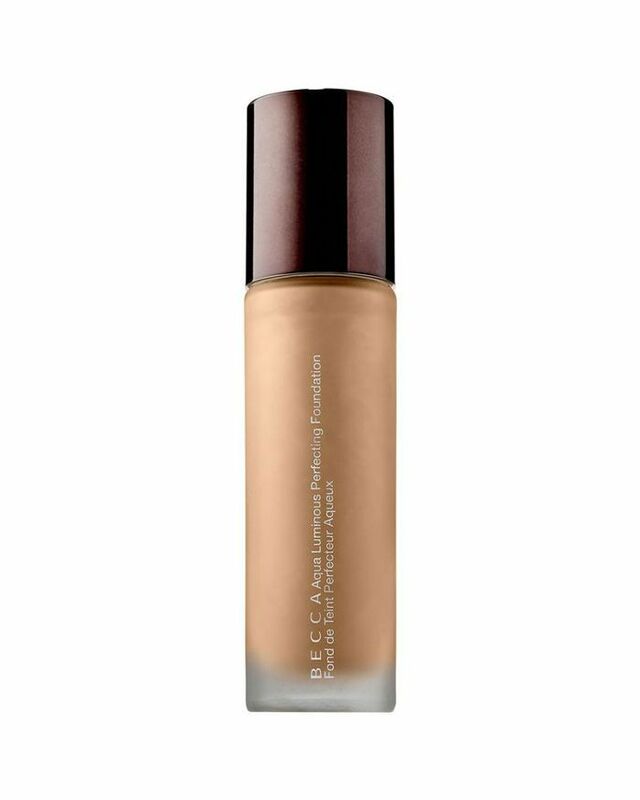 Below, find even more outstanding options for a more natural, glowy, less foundation-y foundation. And a few selfies of myself wearing them mixed in for fun.